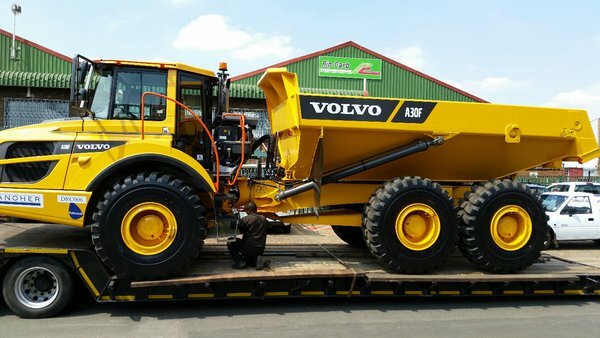 Chromium Carbide (CrC) expert Rio-Carb recently fitted R-C700 liner plates to Danoher Construction’s R3.9-million Volvo 30-ton dump truck. Due to their impressive hardness, the R-C700 CrC liners were installed to prolong the life of the original truck bin – which is known to withstand approximately 10 000 hours of unloading – by six times. Depending on what is being mined, the material causes damage to the bin. Therefore many companies opt to discard the bin once it has corroded and replace it. Rio-Carb’sR-C700 CrC liner plates are extremely wear resistant when compared with its competitors’ liner plates. To test this theory, one truck has been fitted with Rio-Carb liner plates and the other with 400 material. They will undergo a test to see which will last longer at a mine in Lydenburg. The trucks will be put through the same harshness and unload the same material during testing and a comparison will be made. Even though it is the first time Rio-Carb has designed and fitted a truck with liners, the company was able to finish the project within a week, which included getting approval on the actual designs, engineering and fitting them. “We had to take measurements for sizes, made drawings and suggested how the liner can be laid up and fitted. Working outdoors was a challenge, as we lost a day and had to move indoors but everything went well, thanks to our experience and expertise,” Garcia adds. Rio-Carb is the only local liner plate and equipment manufacturer that follows international welding standards. Its liner plates are etched at the back with a unique number of identification and recorded in the company’s database. All the designs are computerised, so the company does not have to go back on site to take measurements and redesign them when they need to be replaced. “Once the test is successful, we will be able to supply liners for more of Danoher Construction’s earth moving equipment. The company has other trucks that require lining, so it’s a great opportunity for us. We hope this new service of fitting our liners to dump trucks will be the first of many, and we know it will work out and become a success,” Garcia concludes. 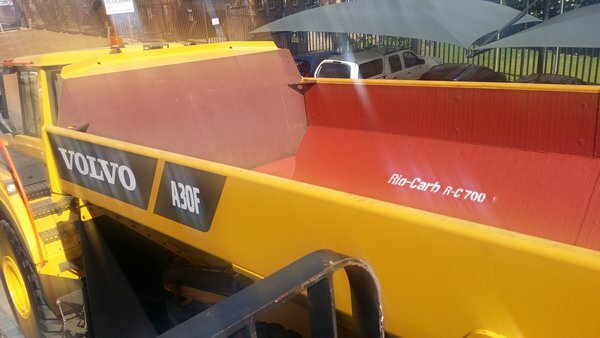 Chromium Carbide (CrC) expert Rio-Carb recently fitted R-C700 liner plates to Danoher Construction’s R3.9-million Volvo 30-ton dump truck. Due to their impressive hardness, the R-C700 CrC liners were installed to prolong the life of the original truck bin – which is known to withstand approximately 10 000 hours of unloading – by six times.